Return air tickets inclusive of taxes, visa charges, 03 nights stay in Gold Coast, 02 nights stay in Cairns, 03 nights stay in Sydney, meals as per itinerary, all transfers and sightseeing as per itinerary. Return airfare inclusive of taxes Visa charges 03 nights accommodation in the Gold Coast 02 nights accommodation in Cairns 03 nights accommodation in Sydney Meals as per itinerary All transfers on seat-in-coach (SIC) basis Sightseeing as specified in the itinerary. Warner Bros. Movie World (more commonly referred to as Movie World) is a movie studio theme park on the Gold Coast, Queensland, Australia. 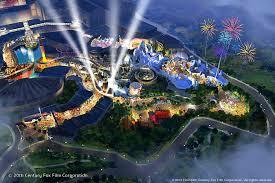 Its theme is based on the Warner Bros. film studio and related DC Comics properties. 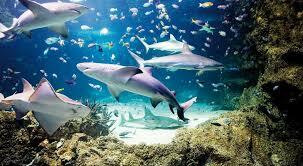 Sea World is a marine mammal park, oceanarium, and theme park located on the Gold Coast, Queensland, Australia. It includes rides, animal exhibits and other attractions, and it promotes conservation through education and the rescue and rehabilitation of sick, injured or orphaned wildlife. Green Island is a beautiful 6000 year old coral cay located in the Great Barrier Reef Marine Park, a premier world heritage site and one of the Seven Natural. The land where the Sydney Opera House stands is called Bennelong Point. ... The Sydney Opera House was built on the same spot and the work began in 1959. It was designed by Danish architect Jørn Utzon. He won a design competition in 1957. The Sydney Harbour Bridge is a heritage-listed steel through arch bridge across Sydney ... TheSydney Harbour Bridge was added to the Australian National Heritage List on 19 March 2007 and to the New South Wales State Heritage. Bondi Beach is a popular beach and the name of the surrounding suburb inSydney, Australia. 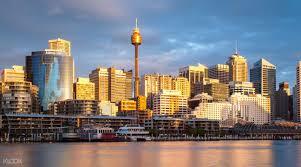 It is located 7 kilometres east of the Sydney CBD. 'Bondi' or 'Boondi' is an Aboriginal word meaning water breaking over rocks or noise of water breaking over rocks. STUDIO, located on level three, is the highest event space in the Southern Hemisphere, and can cater for cocktail functions for 200 people and 156 sit-down guests. The observation deck, currently called theSydney Tower Eye, is located on level four ofSydney Tower. King Street Wharf is adjacent to the Darling Harbour tourist precinct, and on the western edge of Sydney's central business district. The residential towers occupy the area bounded by King Street to the South, Shelley Street to the East, Erskine Street to the North and Lime Street to the West. Explore Blue Mountains on a last minute special deal including visits to Scenic World Ride. Day tourfrom Sydney including coach & ferry transfer, visits lookouts and rainforest walk. Top Destinations. You have time to visit only one cave, the Lucas is one of our most amazing, offering variety, our highest and widest caverns plus a glimpse of the pure underground river. Visitors walk several flights of stairs to gain access to the Lucas cave. 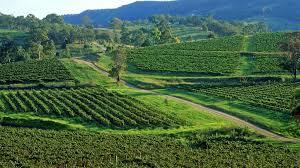 The Hunter Valley is one of Australia's best known wine regions. Located in the state of New South Wales, the region has played a pivotal role in the history of Australian wine as one of the first wine regions planted in the early 19th century. Hunter Valley Semillon is widely considered the iconic wine of the region but the Hunter produces wine from a variety of grapes including Shiraz, Chardonnay, Cabernet Sauvignon The site of Canberra was selected for the location ofthe nation's capital in 1908 as a compromise between rivals Sydney and Melbourne, Australia'stwo largest cities. ... As the seat of the governmentof Australia, Canberra is the site of Parliament House, the High Court and numerous government departments and agencies. 1 Days (Gold Coast) Arrive at Brisbane or Gold Coast Airport by 2330 hrs and transfer (transfers are on seat-in-coach basis) to your Hotel (Early Check-in is not guaranteed). Overnight stay at the hotel. 2 Days (Gold Coast) Enjoy a nice breakfast. Look forward to enjoying at Movie World (return transfers on seat-in-coach basis). Overnight stay at the Hotel. 3 Days (Gold Coast) Have a tasty breakfast. 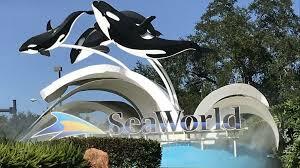 Set out to enjo at Sea World (return transfers on seat-in-coach basis) Overnight stay at the Hotel. 4 Days (Cairns) Enjoy a tasty breakfast. Check out of the hotel. Transfer to Brisbane or Gold Coast Airport on seat-in-coach (SIC) basis. Arrive at Cairns Airport by 2230 hrs.Transfer to the Hotel on seat-in-coach basis. Check in to the hotel and relax. Overnight stay at the hotel. 5 Days (Cairns) Have a good breakfast. Then set out on a Full Day Big Cat Cruise Tour (on seat-in-coach basis) to Green Island Reef with Buffet Lunch, Semi-submarine and Glass bottom boat OR Snorkelling Gear (4 Pax). Overnight stay at the hotel. (Upgrade options to Sunlover Outer Barrier Reef Cruise with Vegetarian Lunch available at additional Cost - AUD 55/Adult and AUD 35/Child) 6 Days (Sydney) Have a nice breakfast. Depart for Cairns Airport on seat-in-coach basis. Transfer for your onward flight. Arrive at Sydney Airport by 2000 hours. Transfer to the Hotel on seat-in-coach basis. Overnight stay at the Hotel. 7 Days (Sydney) Enjoy a tasty breakfast. In the morning, set out on a half-day Sydney City Tour (on seat-in-coach basis) with views of Opera House & Harbour Bridge and a visit to Bondi Beach, etc (Complimentary and non-refundable). 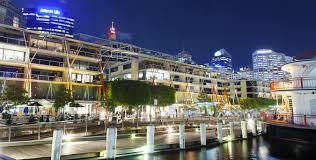 Limited Hotel Pick-up, No Hotel Drop, this Tour ends by 1145 hrs near Darling Harbour or Circular Quay. Alight nearest to King Street Wharf, Darling Harbour. 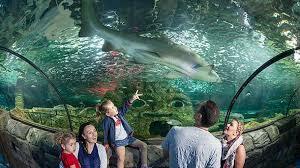 Proceed to Sea Life Aquarium at Darling Harbour to exchange Combo 2 Pass voucher for admissions to Sea Life Aquarium + Sydney Tower Eye with 4D Experience (Transfers to Aquarium & Tower are not included). In the evening, set out on your own to King Street Wharf #5, Darling Harbour by 1850 hrs - 1900 hrs to join Sydney ShowBoat Indian Dinner Cruise with Standard Seating (No transfers). (Supplement cost of AUD 20 Per Person EXTRA to Upgrade to Priority Seating) 8 Days (Sydney) Have a tasty breakfast. 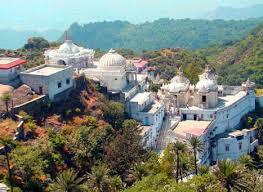 After breakfast you may choose 1 from a selection of 1 Full Day Tours (on seat-in-coach basis). Very Limited Hotel Pick-ups, only 9 pick-up points for all Tours between 7:00 AM - 7:50 AM depending upon hotel location. Full Day Blue Mountains Tour (on seat-in-coach basis) with Wildlife Park, Scenic Rides at Scenic World. Departure at 0800 hrs daily. Return by 1800 hrs. Limited hotel pick-up. 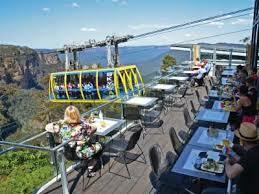 OR Full Day Blue Mountains Tour (on seat-in-coach basis) with Wildlife Park, Lunch and scenic Rides. Departure 0800 hrs daily. Return by 1800 hrs. Limited hotel pick-up. OR Full Day Blue Mountains Tour (on seat-in-coach basis) with Wildlife Park, 2-Course Lunch and River Cruise. Departure 0800 hrs daily. Tour Ends at Darling Harbour or Circular Quay compulsory. OR Full Day Blue Mountains Tour (on seat-in-coach basis) with Jenolan Cave Lucas and Light Takeaway Lunch. Departure at 0800hrs on Tuesday, Thursday and Saturday. Limited hotel pick-up. 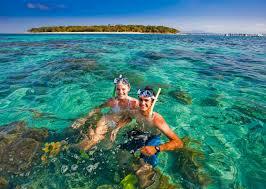 OR Full Day Port Stephens 1.5-hour Dolphin Cruise and 1-hour Sand Dunes Tour (on seat-in-coach basis). Departure at 0800 hrs, only on Monday, Wednesday, and Saturday. Return by 1900 hrs. Limited hotel pick-up. Compulsory and non-refundable. OR Full Day Hunter Valley Wineries Experience Tour (on seat-in-coach basis) with Lunch. Departure 0800 hrs only on Tuesday, Friday and Sunday. Return at 1830 hrs. Limited hotel pick-up. 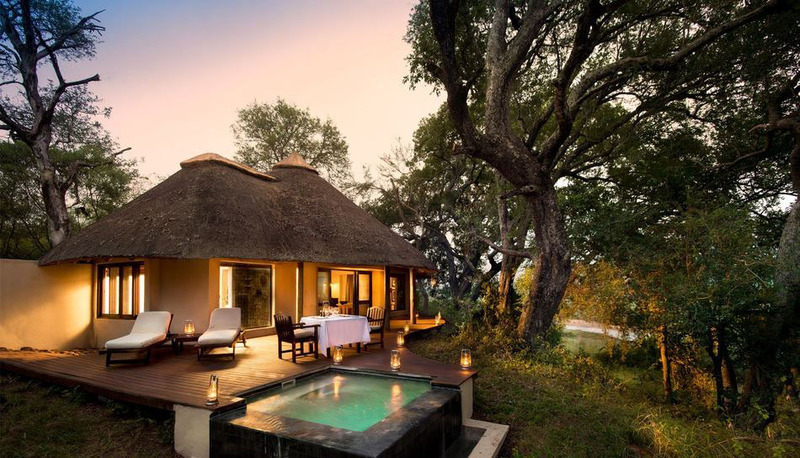 Compulsory and non-refundable. OR Full Day Canberra Australia Capital City Tour (on seat-in-coach basis). Departure at 0715 hrs only on Monday, Friday, and Sunday. Return at 1830 hrs. VERY Limited hotel pick-up. 9 Days (Sydney) Enjoy a tasty breakfast. Check out of the Hotel. Transfer to Sydney Airport (on seat-in-coach basis) for your onward flight.